Little bit on the expensive side but overall worth every cent. If You can afforded buy it !!! Success in life is measured in so many ways, much more important that online racing; with First Responders, Veterans, Nurses, Policemen as great examples. Nonetheless, this chair is built like a TANK!! It has allowed me to keep in the top-levels of Global Online Racers with a SOLID fixed platform. It was a big upgrade for me and it has contributed to my online experience. I love the attention to detail!! 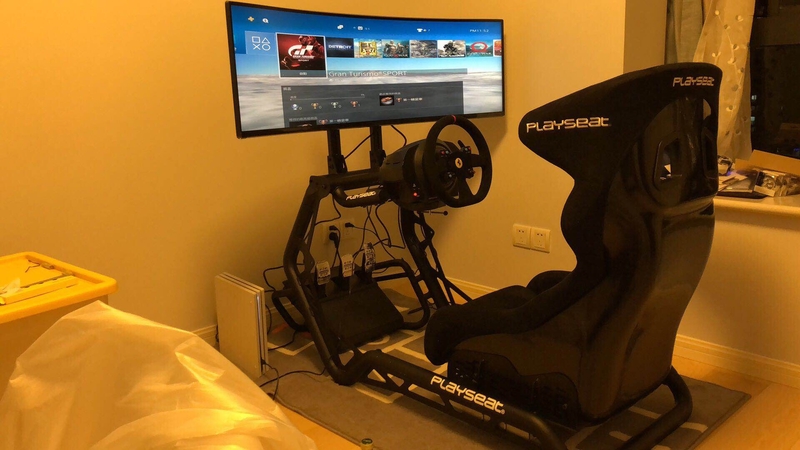 Coming from Playseat Revolution Alcantara WRC with Thrustmaster TX, this is another dimension of SIMRACING. I tried R-SEAT and VISIONRACER but the SENSATION PRO for me was the best choice. If you can afford ist, buy it! I received the product in good order a couple of days after ordering it (actually faster than was promised). Assembly was straight forward and took about two hours. It could be done only with the hex keys that were provided with the kit though I would recommend having a rubber mallet around to speed things up in some steps. The quality of the product is quite impressive with precise, well made parts. On my first configuration I am using an older Logitech GT keyboard and pedal set along with an older Sony monitor. The pedals have no provision for mounting so, until I replace them I simply set aside the Playseat pedal box. The Logitech steering wheel base with integral gear shift is a bit wide for the Playseat steering mount plate so I found that adding a small piece of wood shelving on top of the steering plate was all that was required to get the wheel level. As for the TV ... a problem unique to Sony (unrelated to Playseat) is the unique mounting hold configuration (I have had this same problem mounting Sony flat panels in wall installations). This can be addressed by just bolting on some brackets across the back of the TV and then drilling some holes in the brackets to match the brackets included in the Playseat. I don't think this would be an issue with other brands of monitor. Overall experience in use is very good, The unit is very solid and easy to adjust. Seat is snug but comfortable for a large driver (I'm 193cm and 125kg ... I would say that this should be the weight limit). I would definitely recommend the product and am looking forward to a lot of driving in the future. The Sensation pro is a very comfortable seat. It makes it feel like your in a real race car. It is extremely sturdy and very well made. It has tilt steering! And it's hydraulically assisted as well as the seat adjustment. I had to purchase a TV mount since the brackets were not VESA, a $29 item at Lowes. I went with Thrustmaster T300 servo with the pro pedals with load cell and the shifter. Everything mounted perfectly. The only thing I can say about the instructions is that they are pretty poor. The unit comes with a bunch of bolts all different lengths and doesn't state what length bolt goes where. They should include a true scale picture of the bolts being used at the certain step in the instructions. My one TV mount was missing a welded nut in which case the company was quick to send a replacement even though it was used and scratched up a bit. The seat is very good quality and comfortable. The cable management allows you to route the wires up the frame which is pretty neat. Very good quality product at a hefty price but definitely worth it. Love my New Sensation Pro. How do you feel ?? Well ! Getting the "Limited Edition" makes you feel "something special"
So... this chair costs a lot BUT I can honestly say it's the best thing I have EVER raced in! I got the chance to test the Sensation Pro at an event and it convinced me immediatly. It's very sturdy, yet comfortable enough to race multiple hours (which I do quite often). The alcantara feels great and is a nice touch to this racing monster. The only downside would be the amount of space it needs. 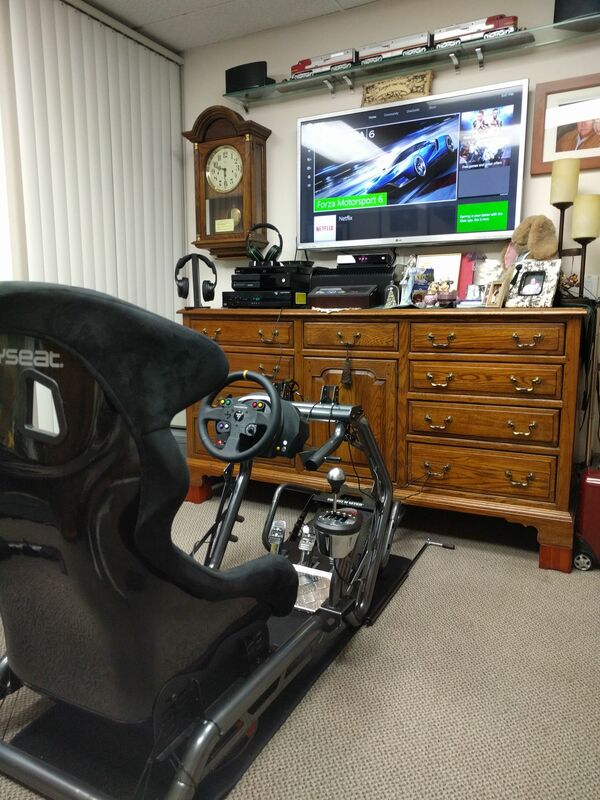 You don't want this thing in your living room, so you will need a racing room, but if you are willing to spend this much money, you probably already have a seperate room for racing. For me it's worth every penny so far! Simply AMAZING!